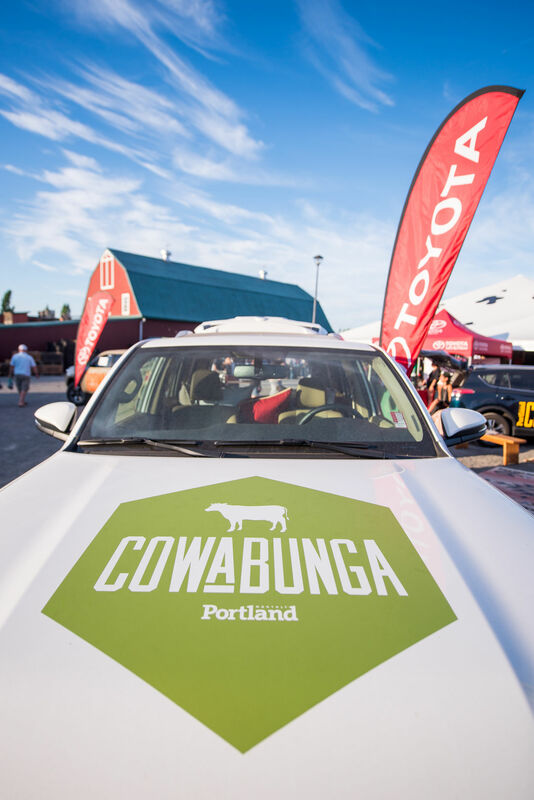 Leading up to Portland Monthly’s inaugural Cowabunga, a farm-to-table food festival, Toyota dealerships across the state hosted a fleet of hand-painted cows towed in brand new Toyota vehicles. Led by a Cowabunga branded Rav 4, a 4Runner, and two Tacomas, the cow parade was a celebration on wheels, donned in their finest party attire! Donated by local high schools, these bovine beauties spread the word about the upcoming festival and helped to mosey the herd to Rossi Farms for an all you can eat weekend, with all star chefs, live entertainment, and regional drinks. 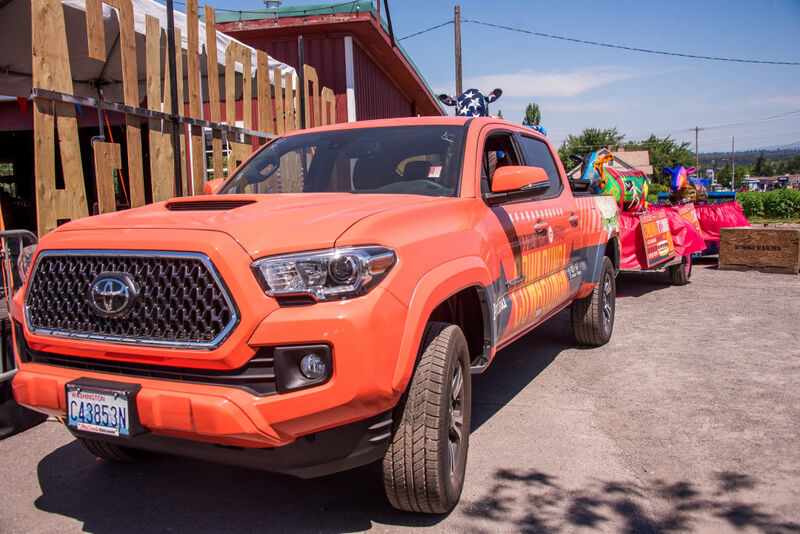 During the start of the summer season, Capitol Toyota in Salem, OR, Ron Tonkin Toyota in NE Portland, and Beaverton Toyota all partook in the animal-focused festivities. 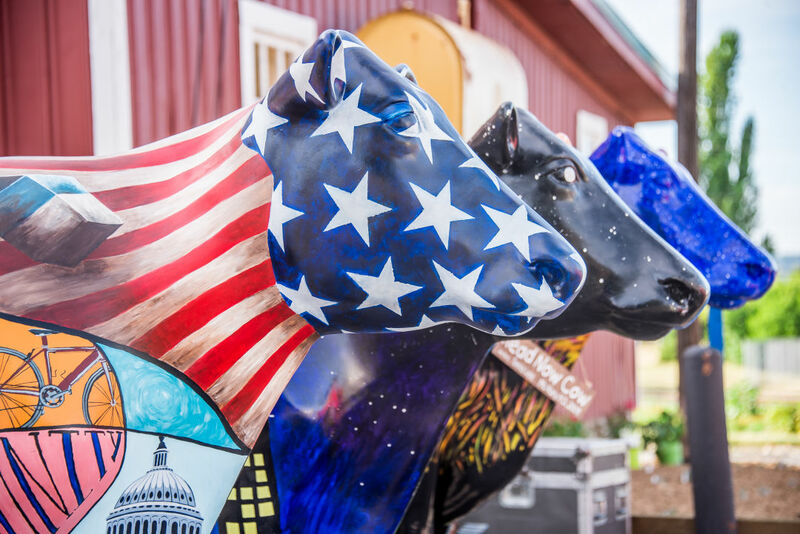 The cows were not only a flashy attraction at the dealerships, they also helped to raise awareness for the event’s non-profit beneficiaries Oregon Food Bank and Parkrose High School. After holding court at the Toyota dealerships in late June and early July, it was time to bring the cows home! These noble creatures stood proud at the entrance of Rossi Farms and welcomed the festival-goers and farmers alike. Visible from the high traffic 122 Ave., this eclectic parade of cows wished good fortune and good fun to everyone who saw them. Learn more about the Toyota dealership in your neighborhood!